If you feel that your company's potential is much greater than it is...You're Right! 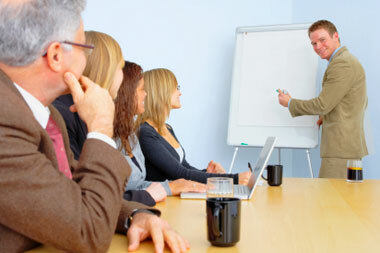 Career Executive Options Inc. has the necessary skills that everyone in the company can benefit from. You can get results from us! Your company can increase productivity as well as company morale. Please take a moment to review the list below of our training courses we have for the company, employee or management. Let us know which classes you would be interested in and one of our trainers will call you back. We can also customize the courses for exactly what you need to get your full potential! For a full list of training courses we offer, please contact us.